Belgium's Chemical Breath were not only one of the first extreme metal bands from Belgium.....they were also the finest! Belgium’s Chemical Breath were not only one of the first extreme metal bands from Belgium…..they were also the finest! Forming in 1990 – and releasing two demos and two full lengths, including the technical masterpiece that is 1992’s Fatal Exposure, during their eight years of existence – their first demo, Brutal Violation, was an instant indication that these guys had huge potential. Beyond Reality followed in 1991 and that potential had been fully harnessed with the intensity and skill of these awe-inspiring Belgians shackled to labyrinthine song structures, baffling tempo shifts and the same pioneering spirit which led the likes of Pestilence and and Death to release their classics Consuming Impulse and Human respectively. Both demos gained the band a cult following in the death/thrash metal underground and it’s clear to hear why. While everything remained unrefined at this stage, solid foundations were clearly being laid and Chemical Breath’s alchemic brand of complex extreme metal was soon highly appreciated among fans of the underground. 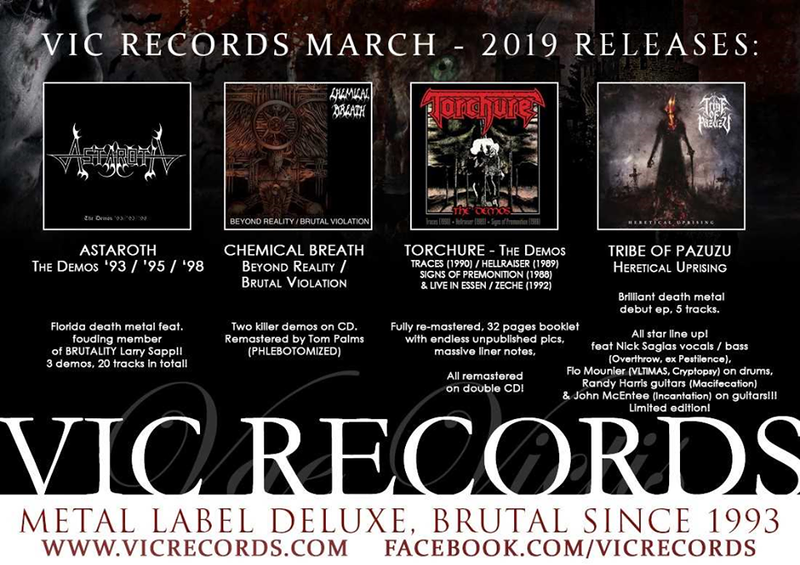 Re-released on 15th March 2019 by VicRecords, Beyond Reality / Brutal Violation has been remastered by Tom Palms (guitarist in Phlebotomized, and the man behind remasters of Sinister, Infernal Majesty amongst others) and remains a fascinating snapshot of a revered cult band finding their feet before unleashing their masterpiece – the aforementioned Fatal Exposure – on the world. 6 Of The Most Mind-Blowing Technical Thrash Albums Ever Recorded! Time to pop on a hard-hat, it's the only way of guaranteeing your brains don't end up on the floor! Bow down before your heroes!